Summary: The description, specs, photos, pricing and user ratings for the Wilson Combat Vickers Elite pistol. 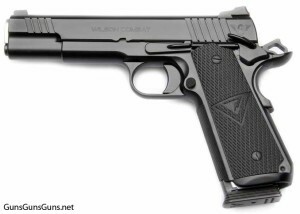 Wilson Combat‘s Vickers Elite is a 1911-style semiauto pistol built on a full-size carbon steel frame with a full-size, forged carbon steel slide, and chambered in .45 ACP or 9mm. The company says Larry Vickers, a retired U.S. Army Special Forces soldier and current pistolsmith, competitive shooter, industry consultant and trainer, designed the pistol with his preferred options. The Vickers Elite from the right. an enlarged steel baseplate designed to allow you to pull a stuck magazine out while wearing gloves. 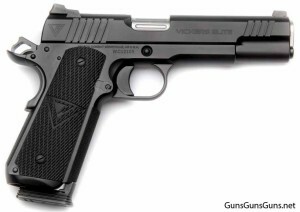 Each pistol features the Vickers Tactical logo on the slide. 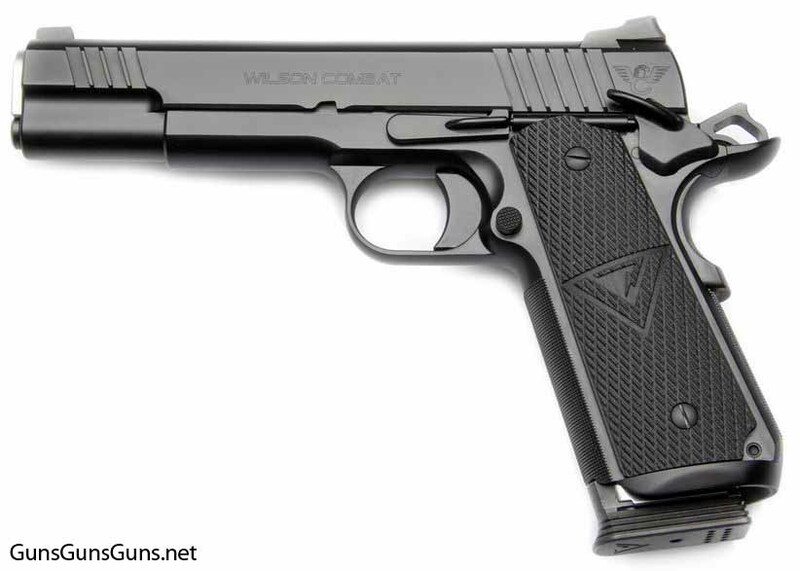 Wilson Combat says the only allowed upgrades include an ambidextrous safety, a choice of front sight and a deluxe hand-polish blued finish. Video: Click here to see Larry Vickers present and shoot the Vickers Elite. The Vickers Elite from the left. The Wilson Combat/Larry Vickers magazine. This entry was posted in .45 ACP, $3,501-$4,000, $4,001-$4,500, 1911, 9mm, Full size, Semiauto, Wilson Combat on July 21, 2015 by Staff.